The SCOAN Sunday service was indeed one to remember as The SCOAN choir led the congregants in an outpouring moment of praise and worship. The power of God descended in the church like never before, uplifting souls, healing the sick, delivering and setting the captives free. While basking in the euphoria and glory of God, Prophet T.B. Joshua ushered in a soul-searching message titled ‘THE REAL THING’ which centralizes on the Holy Spirit and commitment. He introduced the message using the proof text- John 14:26, “But the advocate, the Holy Spirit, whom the Father will send in my name will teach you of all things and remind you of everything I have said to you”. He reminded the church saying: “You cannot remember anything of Jesus without the help of the Holy Spirit. This means, if you are not born of the Spirit, you are not a true believer. Christianity therefore, lies in the heart”. With revelations to deep secrets of the Bible, Prophet T.B. Joshua in his teachings, stressed on facts about the real thing: “The real thing about man is not his body but his spirit. Man is a spirit being, a divine person possessed of spirit, soul, and body. It is possible to identify our body but what of our soul and spirit? Can we say we cannot identify our spirit and soul, that they do not exist because there is no emotional reaction? The Holy Spirit is a divine being and we have Him not because of some emotional sensation but because God’s Word plainly so indicates”. Conclusively, Prophet T.B. Joshua advised all to build an intimacy, a connection with the Holy Spirit saying, “Man has the ability to preach but the Holy Spirit preaches as He wills. There must be corresponding power to do anything from God. An intimation must come from the Spirit to do this and that”. I CAN NOW WALK LIKE A SOLDIER AGAIN! Group Captain Emmanuel Igbee Kalu, a retired Group Captain of the Armed Forces of Nigeria, woke up with a severe pain in his leg. At first, he assumed it to be a minor pain commonly caused by a wrong sleeping position but when it persisted, he realized that the situation was serious. Unable to give account of the cause of the pain, he was referred to a hospital by his secretary and multiple tests were taken. The doctors discovered that not only was Captain Kalu suffering from a severe leg pain, he also had a case of high blood pressure. The doctors immediately recommended several drips to be injected into his body but the problem only grew worse. As the ailment persisted, Captain Kalu became bedridden; he could neither move, sit nor sleep. His inability to walk adversely limited the once agile man to frailty. Further clinical tests were conducted and it was revealed that he had complications that resulted in a partial stroke. Fed up with the humiliating situation, Captain Kalu encountered Prophet T.B. Joshua by watching Emmanuel TV and rushed down to The SCOAN as soon as he could. As he was touched by Prophet T.B. Joshua, the pain left him and he was able to swing his arms again. 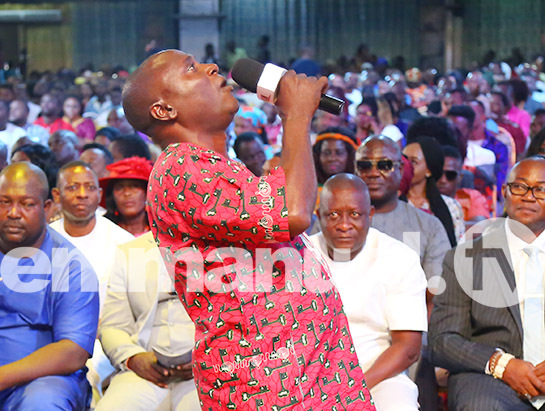 Joined by his wife who recounted how much money they had spent in their quest for a permanent solution that never came from anywhere else but from God, Captain Kalu testified: “I can now walk like a soldier that I am. Indeed, God has given me a second chance”. To God be the glory, Captain Kalu and his family praised God for his freedom. Mr Godwin Damatie suffered from a stiff neck for several years. As a result, his social life became restricted because of this problem. He visited specialist hospitals in search of a solution but the problem still persisted despite the use of the neck collar to aid his neck movement. A friend introduced him to Emmanuel TV. After watching how God was using Prophet T.B. Joshua to restore people from sickness to good health, his faith was elevated. He decided to visit The SCOAN to seek the face of God for his healing. While seated in the congregation in great pain and discomfort, Mr Damatie received a word of prayer from Prophet T.B. Joshua and the pain that had plagued his life for years disappeared in Jesus Christ’s name. He could immediately turn his neck to the glory of God. Excited and thankful to God, Mr. Godwin encouraged the congregants not to run from God but run to Him in times of trouble. Mr Chiedu, a Nigerian living in Japan, was one of the people who never believed that anything good could come from Prophet T.B. Joshua. He despised the thought of anything that had to do with The SCOAN and would voice his opinion to anyone who cared to listen. He was a successful businessman, but after the demise of his mother, he started experiencing spiritual attacks which eventually led to the crumbling of his numerous companies. As the situation persisted, he was advised to get married as a means of escape from his problem. His condition worsened after three failed marriages as his health also began to deteriorate. He went to the hospital and his worst fears came when the doctors diagnosed him with cancer. Mr Chiedu lost all hope and sent for his brother to write his will believing that he would die soon. His brother, amazingly told him that there was still hope and the only solution he had was to introduce him to the New Morning Water. 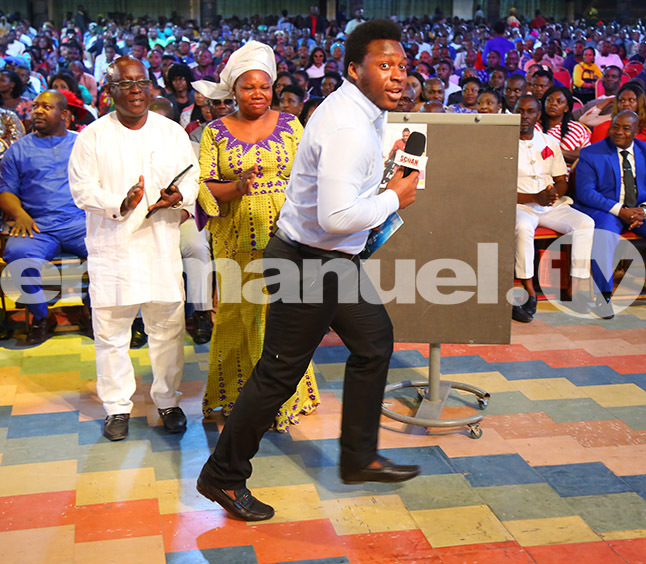 Upon sighting the New Morning Water and learning it came from The SCOAN, a ministry he so much despised and had spoken against, Chiedu was in shock but because he had come to the end of the road, he had no other option than to receive the ministration of the New Morning Water from his brother. Immediately after the New Morning Water ministration on him, the evil attacks he experienced in the form of cats crying on his roof top stopped immediately. He could then sleep well and gradually began to regain his health. 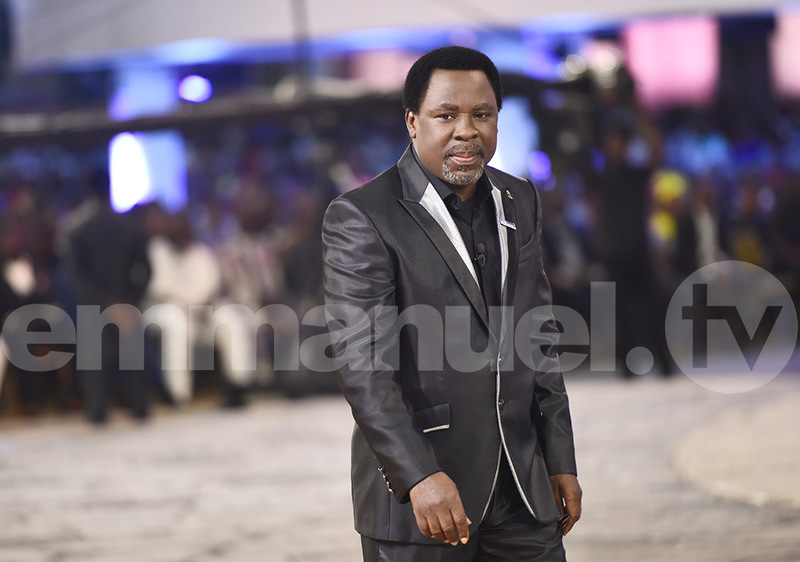 From then, his faith was gingered and he travelled down to The SCOAN with his daughter who was also sick with asthma. They were placed at the Prayer Line where they both received prayer from Prophet T.B. Joshua. 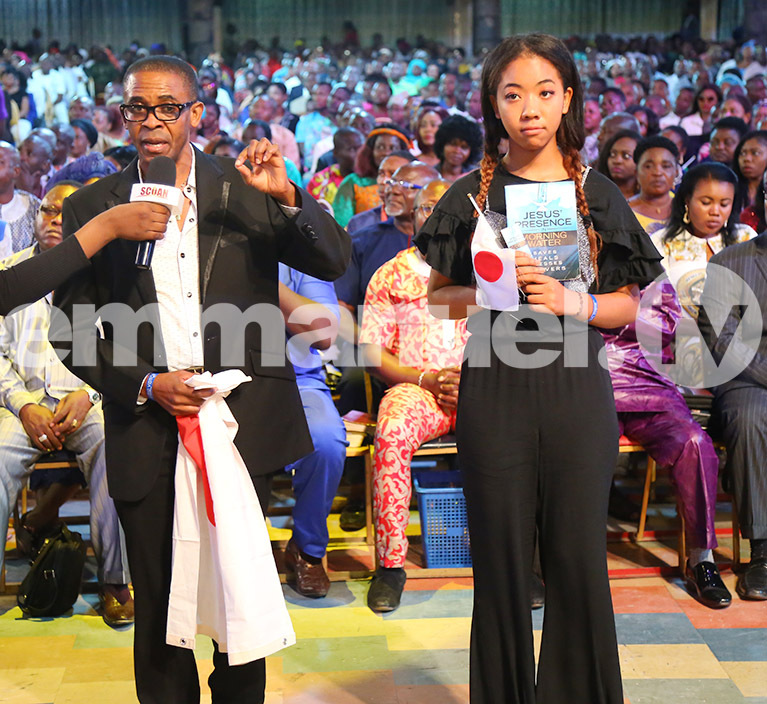 After the prayer, Mr Chiedu and his daughter were healed and he travelled back to Japan for a medical check-up where his doctors confirmed that the cancer in his body was completely gone. His business also began to boom and now he is completely restored. He advised the congregants to always examine their situation in the light of God’s Word and to have faith in Jesus Christ who is ever willing to deliver those who trust in Him. Mr Iniabasi Chelly Okoko, a student at the University of Birmingham in the United Kingdom, sustained a torn knee ligament that restricted him from walking. Doctors had to fasten metals around his knee in order to keep the bones in place. To attempt even the slightest of movement, he had to use a pair of crutches. However, every little movement he attempted gave him an excruciating pain. In his condition, Chelly’s academic life was adversely affected. Mr Okoko’s situation also put an enormous pressure on his family and Chelly’s parents sprang into action. His father travelled to Birmingham with the New Morning Water he had received from The SCOAN and got his son to confess his belief in God. Chelly’s father asked him as to whether he believes in the power of healing in the name of Jesus Christ. “Yes I believe!” Mr Iniabasi Chelly Okoko confessed. Thereafter, his father ministered the New Morning Water as the pair prayed together. Sharing his testimony at The SCOAN, Mr Iniabasi Chelly Okoko told the congregation and viewers all over the world that as soon as his father ministered the New Morning Water, the pain left him instantly and to the glory of God, he could walk again without the use of a leg cast, crutches or braces. Mr Iniabasi Chelly Okoko and his parents thanked God and encouraged everyone to cling to Jesus and that with God, all things are possible. 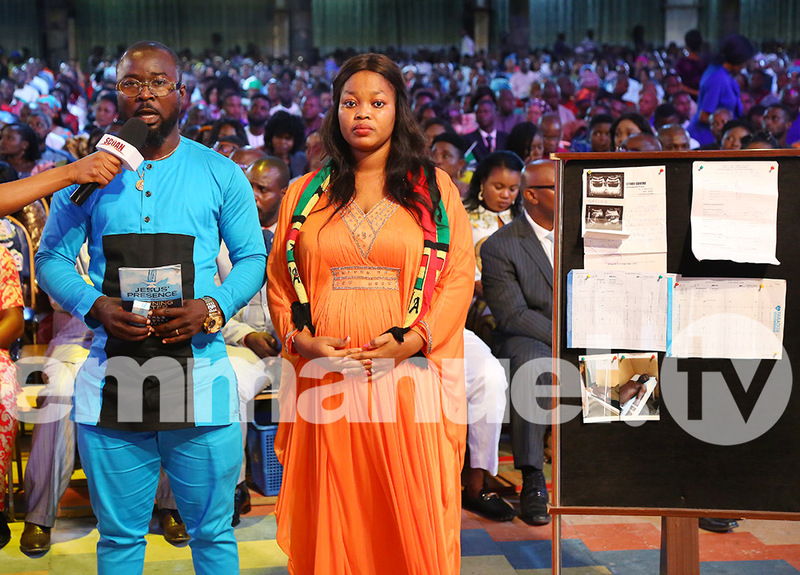 Festus and Bernice Isiba from Ghana came to The SCOAN to testify to their healing. For two years, Festus suffered from heart and kidney stones. The problem affected his career as he could not carry out any physical activity. He sought medical solution all to no avail. 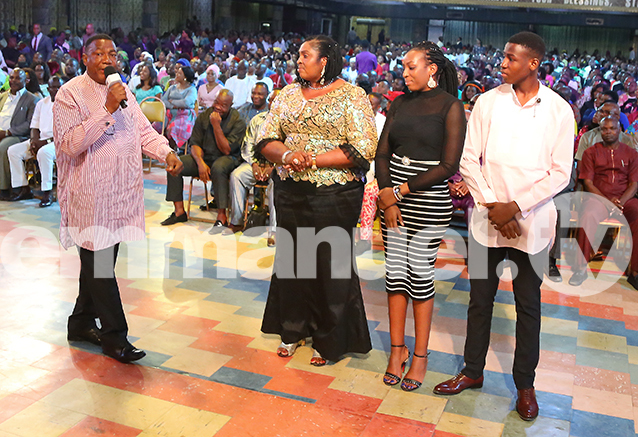 He began watching Emmanuel TV and decided to visit The SCOAN for deliverance with his wife who was also attacked by a spiritual husband that prevented her from conceiving. They received prayer from Prophet T.B. Joshua and the severe pain he experienced, ceased. He regained his health again and decided to go back to the hospital where various tests were previously conducted and all tests declared him healthy and fit. After the prayer, he received The New Morning Water from Prophet T.B. Joshua which he and his wife ministered on each other and prayed in Jesus’ name. After the ministration, she became pregnant to the glory of God. He advised all not to lose hope but always put their problems in God’s hands.